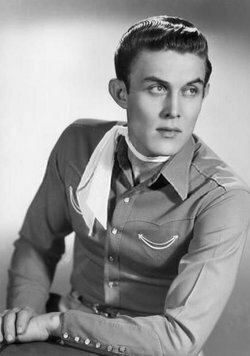 Jimmy Dean, a country singer and television-show host whose good looks, folksy integrity and aw-shucks Texas charm served him especially well when he went into the sausage business and became his own pitchman, died Sunday at his home in Varina, Va., outside Richmond. He was 81. His wife, Donna Meade Dean, told The Associated Press that he died suddenly while watching television. Jimmy Dean dies at the age of 81. Funeral services have been set for Jimmy Dean. There will be a visitation for Dean at the the Nelson Funeral Home on Laburnum Avenue this Sunday from noon until 8 p.m.
Dean's funeral is set for Monday, June 21st beginning at 11 a.m. at the Grove Avenue Baptist Church on Ridge Road. Dean will be laid to rest in a private ceremony at his home in Varina. Dean, who dropped out of high school in 1946 to work to help his mother, announced on May 20, 2008, a donation of $1 million to Wayland Baptist University in Plainview, the largest gift ever from one individual to the institution. Dean said: "I've been so blessed, and it makes me proud to give back, especially to my hometown." On February 23, 2010, Dean was inducted into the Country Music Hall of Fame. He was to have been inducted in October. Dean had three children, Garry, Connie, and Robert, with his first wife Mary Sue (née Wittauer) Dean; and two granddaughters, Caroline Taylor (Connie's daughter) and Brianna Dean (Robert's daughter). Dean died at the age of eighty-one on June 13, 2010, of natural causes at his home in Varina, Virginia. He is also survived by his second wife Donna and his nephew, country music singer Billy Dean. He will be entombed in a 9-foot-tall (2.7 m) piano-shaped mausoleum overlooking the James River on the grounds of his estate. His epitaph reads "Here Lies One Hell of a Man".